Made in Holland. Good for soil, hydro and coco growers. A complex bio-stimulus for use on seedlings, plants in the vegetative stage and plants in the early flowering/fruiting stage. 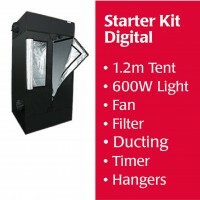 Helps promote strong root and foliage growth. Start-R contains two forms of nitrogen that, when used with Mills Basis A+B, changes the NPK ratio to promote stronger vegetative growth. 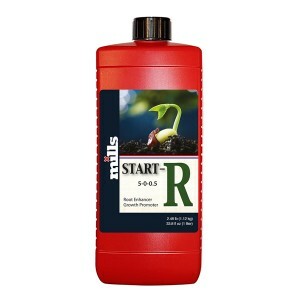 Start-R also contains humic and fulvic acids, L-amino acids, and a root enhancing bio-stimulants derived from auxin- and cytokinin-rich Irish kelp.